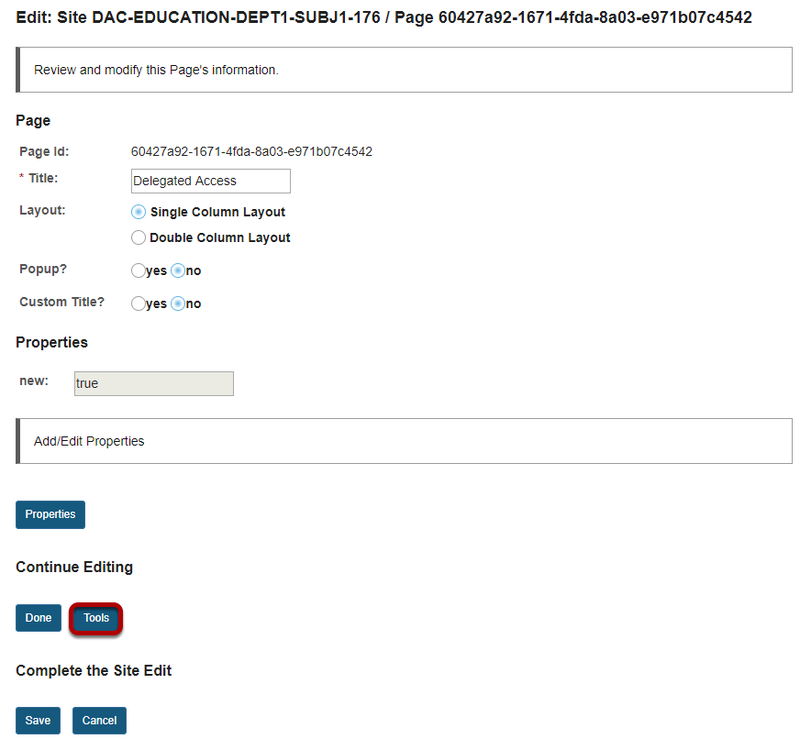 Sakai Community DocumentationSakai 12 Administrator Guide (English) SitesHow do I add a stealthed tool to a site? Stealthed tools are tools which are available in your instance, but are hidden from non-admin users when they select which tools they want to use in a site. 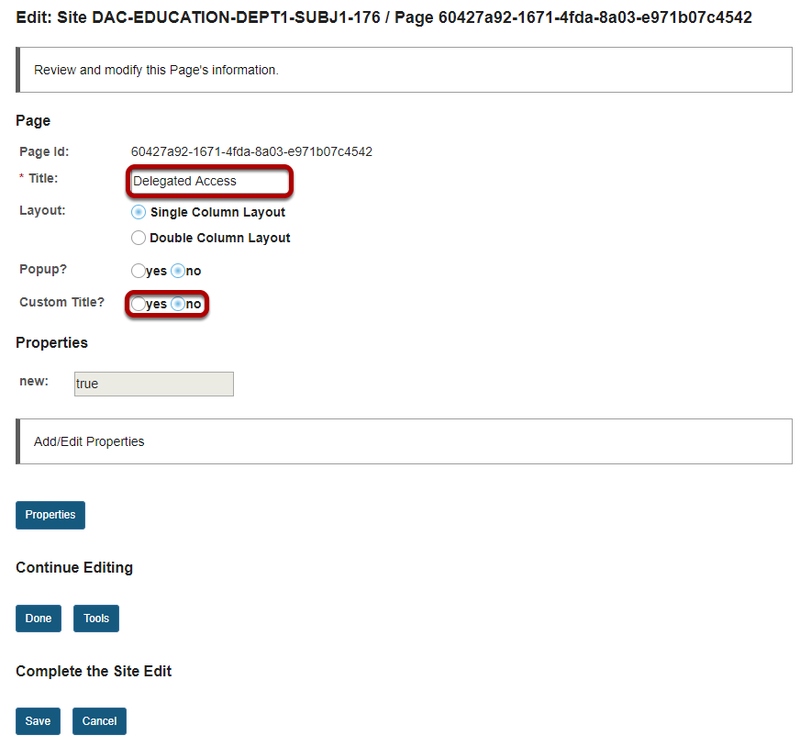 In order to add a stealthed tool to a site, the admin user needs to manually add the stealthed tool via the Sites tool. Locate the site where you would like to add the stealthed tool. Zoom: Locate the site where you would like to add the stealthed tool. 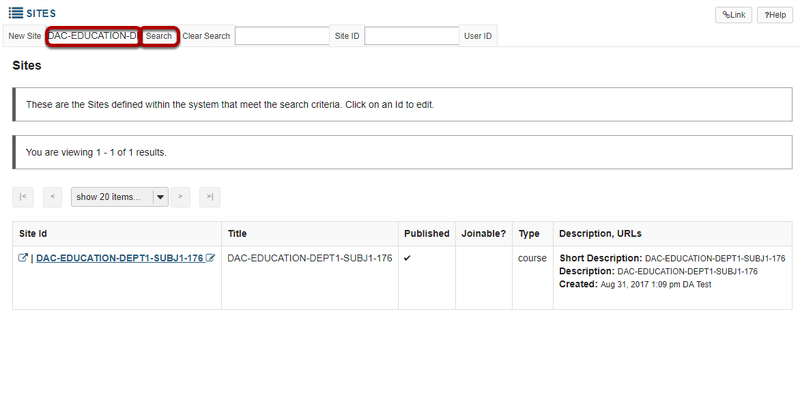 Use the Search function to find the site you want to modify. Click on the site id of the site. Zoom: Click on the site id of the site. 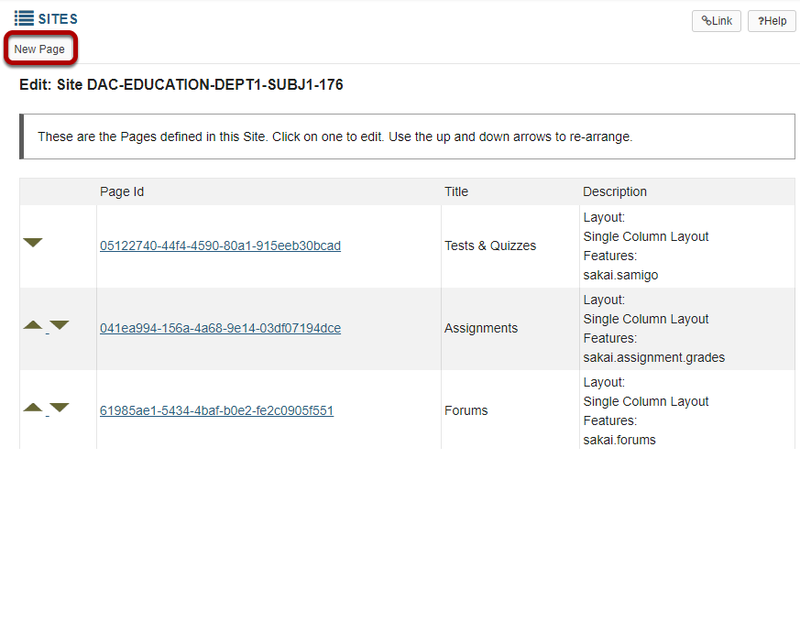 Scroll down toward the bottom of the site editing screen and select the Add/Edit Pages button. 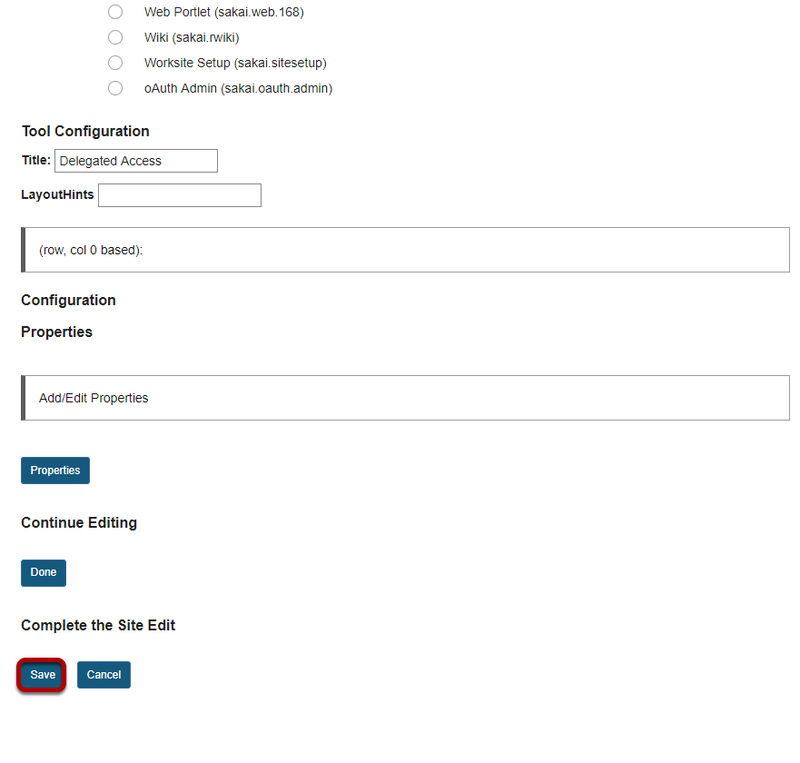 You will see a listing of pages, or tools, currently active in the Tool Menu of the site. Click New Page to add another tool to this list. Enter a title for the stealthed tool. The title you enter here is what will appear in the Tool Menu of the site once it has been added. You may also select the radio button for yes or no to indicate whether this is a custom title, or the default tool title. Select the stealthed tool to be added. Zoom: Select the stealthed tool to be added. You will see a long list of all the tools available in the system. Locate the one you want to add in the list and click the radio button to select it. Scroll down to the bottom of the page and Save. Zoom: Scroll down to the bottom of the page and Save. Prev: How do I Soft Delete a site from the Sites tool? 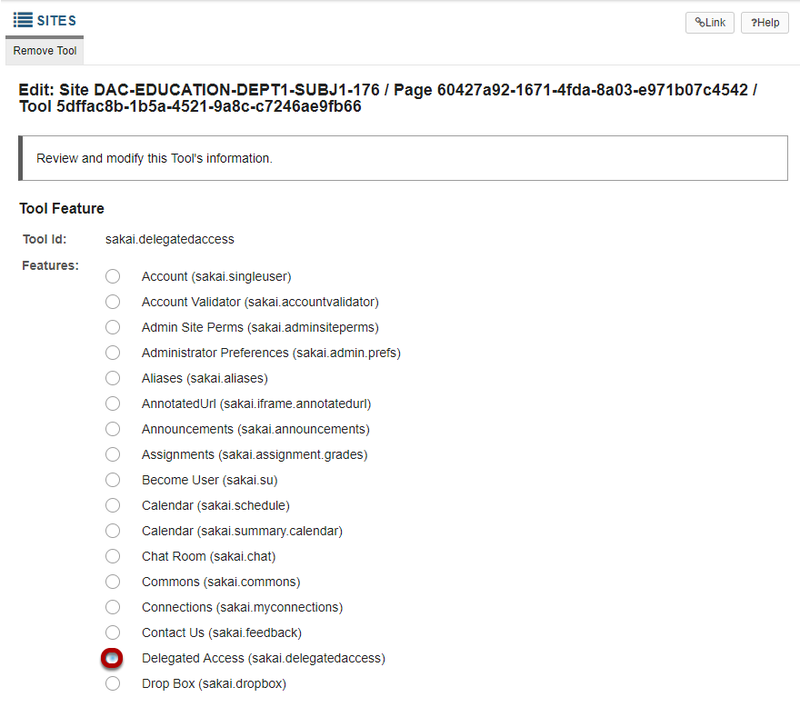 Next: What is Sitestats Admin?